Our Goal Was To Improve Shelf Edge Marketing. We Ended Up Doing A Whole Lot More. Nexgen shelf tags are always cut to size, boxed in planogram order, and ready to hang as you walk the aisles. No bursting or prep work saving up to 43% of labor costs at store level. Statistics from multiple independent time test comparison studies between Nexgen and innovation Management®. We've Always Believed Shelf Tags Should Come Finished. A Decade Later, Our Competitors Now Think So Too. It's been over a decade since we changed the status quo. Today our competitors are finally seeing what we saw back in 2006... Deliver a finished product, in planogram order, ready to hang. We still think the way we've always produced shelf tags is the most efficient where it counts the most... at your shelf edge. Delivering tags in a specific sort order is a huge step for retail time optimization but we also know multiple people set tags at the same time, planograms change, break dates can vary, and other in-store situations can affect the actual store set after the data is sent. Because each tag is solo it allows for extremely quick, on-demand reshuffling and distribution. Each tag has an easy to remove liner so you'll never expose the adhesive until you're ready, allowing employees to take exactly what they need, when they need it, and go. It’s no secret that a significant amount of all purchase decisions are made when your customer is standing at the shelf. So, how do you entice that potential customer? Shelf signs help sell products for you with visuals. Nexgen allows you to tell your story, loud and clear - big or small, from ‘the door through the store’. A great way to capture attention, improve the guest experience, match weekly ads, and even achieve a lift in sales. Retail shelf tags have a unique design all of their own. From branding elements and special promotions to product images and so much more. Our template development teams work hand-in-hand with your Marketing Department to make sure the design of each tag is produced as originally designed. We place high value on promotion changes, image resolution, font matching and accurate color reproduction. Our system allows for full integration of your graphical assets, brand promotions, and your current campaigns. Since the Nexgen team manages all the technical development, your Marketing team can stay focused on the things that are important... like marketing. The Side No One Ever Sees. Nexgen shelf tags rely on a proprietary stock developed to meet the challenges of the shelf-edge. We’ve focused on ease of application, durability, ease of removal, and residue. The substrate utilizes a semi-gloss paper film to reduce light glare often seen with competitors gloss laminate. Next, a double layer of adhesive is applied to ensure an even coverage across the entire sheet. Finally, the easy release liner is applied, which is custom split, exposing nearly an inch of adhesive so the tags stay up even in the most heavily trafficked areas. Our freezer grade substrate is designed to adhere to cold and frost conditions commonly found in dairy, meat and frozen sections of a grocery store. One of the biggest challenges we’ve heard from stores was that employees were constantly fighting tags falling down and curling in the frozen cases. We have a tested and proven freezer grade and moisture resistant substrate that resists curling and actually adheres better over time as the adhesive absorbs water moisture from the surrounding area. You'll Never Need To Make. We pull and print on the correct stock, regular or freezer grade, based on your data and the planogram requirements. The Nexgen SPS processes the batches based on planogram temperature requirements and automatically uses the correct substrate to satisfy those needs. By doing it this way, the process becomes completely transparent for the end user, and simple for in-store operations. Versaply also meets regulatory compliances such as FDA for indirect food contact, CONEG, Heavy Metals, and ASTM F963-96a Child Toy Safety. How To Do Shelf Tags. On the surface, it’s just ink on paper. Behind it all, quite a different story. That’s why Nexgen signs are worry free, comprehensive, with no hidden costs. This philosophy allows retailers the ability to manage the results, while we manage the processes. Trust us to handle complex data algorithms, high-speed processing, variable printing, cut and pack in true planogram order, and execute interstate logistics - just to name a few. So when you think about it, how much really goes into your Nexgen tags? Everything. You Put A Lot Into Your Sign Program. It's Only Fair We Add A Few Things Of Our Own. Trust Us, We Mean That In A Good Way. The GPC/Nexgen system is fully scalable, multi-threaded, load balanced and currently runs in a multi-server virtualized data processing center. The Nexgen Sign Production System is a comprehensive client/server database software application, written, designed and patented by the GPC software development team. 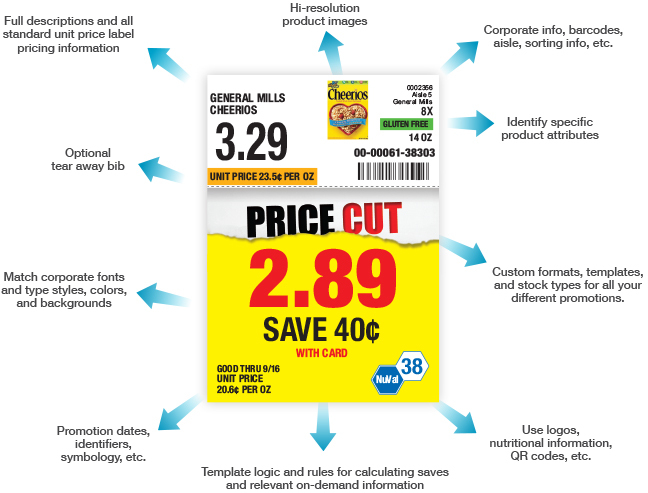 The architecture has the ability to manage, track, sort and produce variable data full-color shelf tags and retail signage, in a high-speed data processing environment, while integrated components manage production and rapid changes to template and business rule logic. The system runs on top of a Microsoft SQL Server database and is directly tied to our proprietary schedulers and PDF print engine technology. In short... we can handle it. Using JDA Space Planning (PSA files)? We make it easy for you, we’ll learn the layout of your store planogram. This layout allows us to print tags and/or shelf strips in the order they appear in the store without the need for an intermediate file or further work from by your IT department. To Pick Up Where Our Competitors Leave Off. What Are Some Of The Nexgen Advantages? It's Where And How Retail Print Comes Together. 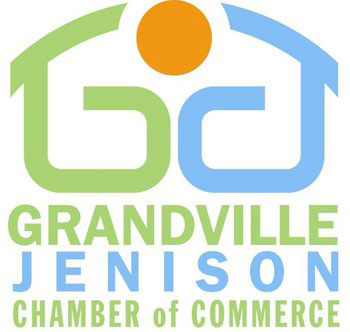 Since 1956, GPC has been in the retail printing business. Today, we are engaged in the production of retail inserts, variable data signage, template management and so much more. We have made cutting-edge investments in technology and equipment to offer a very robust and well rounded solution for retailers and print buyers. We stand out from other retail printers because of our diverse products that drive in-store sales. We focus on cost and value and understand the importance of print programs that provide labor efficiencies and protect your bottom line. Your Imagination. And Your Bottom Line. Of course we're all about shelf tags, but we know that your ideas come in all shapes and sizes. That's why we also help produce and print large format signage. Rigid or flexible, custom cut outs, and much more. We’ve applied everything we’ve learned from processing shelf tag data to our large format division so your signage of any size can be just as dynamic. Over the last few years we've seen exponential demand from our retail customers so we've invested in high tech equipment which allows us to offer the quality, cost, and turnaround times that we know are important. Seamlessly produce static or data-driven branding elements across the entire store on just about any substrate. We make going big... simple. We Know There Are 24 Hours In A Day. We Just Choose To Ignore That. We Focus On Shortening Lead Times. Because We Know Timing Is Everything. Because of our digital printing technology we can accept data feeds, in some cases, on the same day we start the delivery process. This method allows us to give the retailer more time to be price competitive and less time with signs in transit. We’ve built solid partnerships with multiple top nationwide, regional, same-day, and on-demand courier companies, in addition to UPS and FedEx. GPC has delivered for over a decade and has maintained a sterling track record of delivery compliance since day one. We utilize a fleet of drivers, multiple drop zones, and the most efficient route measuring and product tracking methods in the industry. Routes are boxed accordingly and skid packed at GPC, then moved to each individual drop zone for distribution. Using GPS tracking, we know exactly where each box is until it arrives at its final destination. 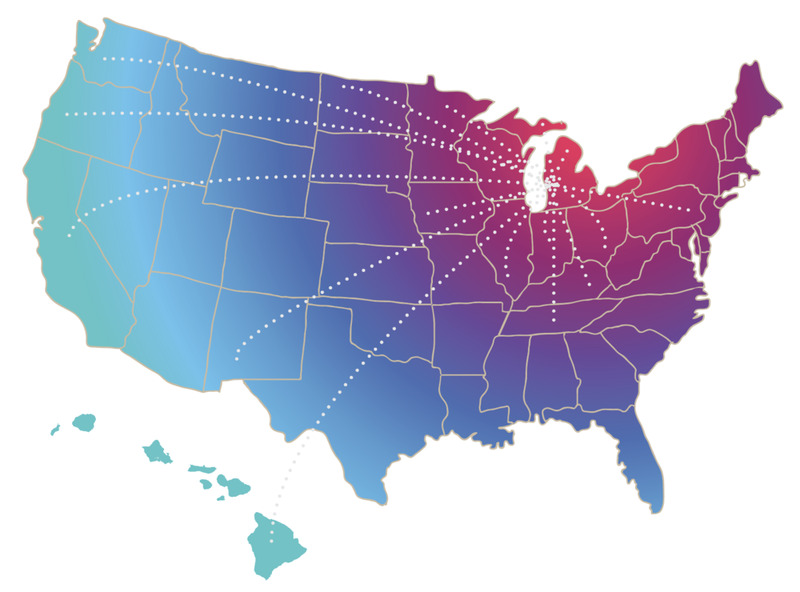 Today, we supply in-store printing to more than 25 retailers of all sizes, servicing a 16 state area, and delivering to more than 1,000 locations every week. Nexgen operates out of a state-of-the-art facility within GPC which includes a fleet of digital presses that strictly focus on producing shelf tags, ad signs, large format, and much more for our retail clients. Even If Your Stores Are Not. Because Sometimes "I Need It Now" Is Business As Usual. Nexgen understands that printing at store level is a necessity that’s why we offer customers access to their data and templates through Nexgen365, our web-based solution available anytime, anywhere. Using Nexgen stock a single sign or full batches of sign PDF’s can be generated, automatically impositioned, and instantly ready for output directly to your in-store printer. The perfect solution for last minute reprints, ad hoc signs, competitive price changes, and more. Because the sign data is generated through our Sign Data Manager (SDM) your in-store signs will look nearly identical to the signs we print from our commercial presses blurring the line between centralized and in-store printing. 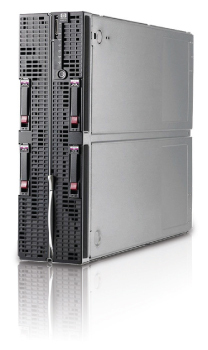 Nexgen365 is powered by an HP blade system with state-of-the-art processing and storage technologies. Microsoft IIS running ASP.NET is combined with the latest UI controls from Telerik, modern scripting technology, and powerful rendering engines that provide dynamic on-demand processing of shelf tags and signage. A robust back-end utilizing SQL Server is the foundation to handle every user demand seamlessly. Reprint a single sign or a full batch of tags and signs at any store, anytime. Batches are saved so you can reprint and edit without having to rebuild every record. Specific user credentials can be set to allow for field editing of pre-populated sign data. Pricing changes, description edits, etc. Our Help page is monitored 24/7 for general support and technical questions. Automatically emails workflow users and is set up through the workflow collaboration feature. Formatted signs are perfectly imposed for in-store printing on our pre-printed shells. Generate full color previews with background artwork for any sign or batch before printing. Allows corporate to create and collect signs for special campaigns for printing by us and delivered to the stores. Send a pop-up message that appears when a store or user logs in. Multiple messages are stackable. Using existing sign stock users can create a new sign or use a group of UPC's to create a batch. Allows stores to order shell stock and supplies that will be sent with our next store delivery. Allows Merchandising to edit and add signs in realtime reducing dependency on legacy systems or maintaining duplicate internal programs. Historical reporting of log-ins, supplies, fiscal year statistics, shipping deliveries, and batch lists. Data feeds are automatically uploaded to Nexgen365 so users are always using the latest pricing and information. View any stores inventory usage of a specific product. All internal retail teams can view signs, make changes then approve the look and sign information. Upload .CSV files with UPC's or download reports for external use. Copy and paste UPC's or upload your own list for automatic batch building. Users have access to PDF documentation to help navigate system features. Contains a list of tasks essential to the production of the sign kits. Communicate with people in the workflow when their task is ready to be carried out or when a task has been completed. Admins can add and delete users easily and even change credential preferences on-demand. Can Have That Big Chain Look. We See Every Customer As A Big Opportunity. Introducing Our Nexgen Program For Smaller Retailers. Nexgen processes data from independents and smaller retail organizations using the same technology that produces shelf tags for our high volume commercial customers. The difference is, we’ve pre-built a few templates using all the common attributes typically found on shelf tags. We've also developed some common tag and sign sizes such as 1.875" x 3.5" / 2" x 2" / 2" x 4" / 2.5" x 3.5" (shown above) and 7" x 11" to choose from. Finally, we'll provide you with an easy to use Excel spreadsheet for your data entry. That's it! You can use your own graphical elements to make the shelf tag unique to your brand or current promotion. Sharpening your shelf edge has never been this simple or cost effective! We batch print which helps leverage a volume pricing model allowing us to provide a price per tag that makes it affordable for smaller retailers to get the highest quality shelf tag at the very best price. Since every order is treated similar to our commercial customers, you get full color shelf tags that easily stick to any shelf edge, are cut to size, and ready to hang right out of the package. All signs are delivered to your store in time for the start of the new monthly promotion. Fill out the form here to have our team contact you with pricing, a few more details, and how to get started.